In this Report, the Lowy Institute’s Melanesia team summarises the outcomes of the third annual Australia-Papua New Guinea Emerging Leaders Dialogue. The Dialogue assembled a group of dynamic young leaders from diverse fields in both countries. Discussion focused on redefining employment, sustaining rural communities, engaging Asia, and gender inequality. The young leaders used the Dialogue to make new professional connections and are already collaborating to enhance existing initiatives that prove the enduring value of people-to-people relations between Papua New Guinea and Australia. Australia and Papua New Guinea face similar challenges in addressing gender inequality in the workplace. Sharing the stories of successful women across a range of sectors and highlighting positive examples of workplaces that have improved gender parity can inspire young people in both countries. Delivering services in remote rural areas is a common problem in both countries. Australia overcomes gaps in service delivery with the use of technology. As mobile telephone coverage and internet connectivity grows in PNG, internet-enabled solutions could help rural communities there and enable more collaboration with Australia. The current employment market for young people in Australia and Papua New Guinea is tough. Both countries can benefit from closer collaboration between the corporate sector and education providers and from embracing innovations in work practices driven by young people. 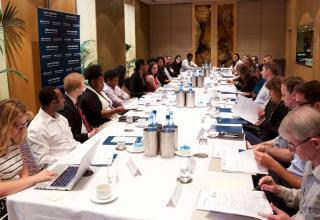 The Lowy Institute hosted the third annual Australia-Papua New Guinea Emerging Leaders Dialogue on 1–2 December 2015. The Dialogue is the flagship event of the Australia-Papua New Guinea Network, an initiative designed to expand people-to-people relations between Australia and Papua New Guinea. This project reflects the significance of the Australia-Papua New Guinea relationship, especially in this historic year as PNG celebrated the 40th anniversary of independence. The Dialogue brought together 20 emerging leaders from business, civil society, and government in both countries to discuss common challenges and form enduring professional connections. The Dialogue focused on four key issues: redefining employment; sustaining rural communities; engaging Asia; and gender inequality. The Dialogue was chaired by Jenny Hayward-Jones, Melanesia Program Director at the Lowy Institute, and Serena Sumanop, Executive Director, The Voice Inc., Papua New Guinea. Promoting gender equality by sharing the stories of successful women across a range of sectors as well as initiatives that are improving gender parity in PNG and Australia. Leveraging Australia’s network of trade offices throughout Asia to promote Papua New Guinean trade and investment links with Asian markets and facilitate greater business links between Papua New Guinea and Australia. Encouraging exchange between young people in both countries through the establishment of an Australia-Papua New Guinea Youth Association as well as the creation of a two-way corporate internship program, and early career teacher and doctor exchanges. The establishment of an Australia-Papua New Guinea public sector advisory council to monitor public expenditure in order to improve accountability and enhance cooperation between public servants in Australia and Papua New Guinea. Improving Australia-Papua New Guinea people-to-people relations by considering new migration pathways between Australia and Papua New Guinea. Establishing an exchange program that enables Australian and Papua New Guinean young professionals to take up work placements in the other’s country for a period of up to 12 months. This could be particularly useful for teachers and doctors in rural settings in both countries. Capitalising on existing cultural connections (e.g. museum exhibitions, music and dance performances) to enhance understanding of Papua New Guinea in Australia. Collaboration between Australian and Papua New Guinean agricultural institutions to develop a comprehensive national food plan for Papua New Guinea in recognition of Papua New Guinea’s food security challenges. Connecting Papua New Guinea’s artisans to international markets through an e-commerce platform, which could leverage existing Australian export avenues to reduce costs. Papua New Guinea celebrated 40 years of independence from Australia in September 2015 but few Australians have an appreciation of the significant history and enduring ties between our two nations. If relations between Australia and Papua New Guinea are to grow stronger, the next generation of leaders in both countries will need a more sophisticated appreciation of each other’s national priorities and challenges. Participants in this year’s Dialogue used the opportunity to develop that appreciation and established professional connections and friendships with their counterparts. Although technology has enabled us to be more connected than ever, there is no substitute for meeting people face to face. Interdisciplinary conversations such as those enabled by this Dialogue allow us to challenge our assumptions and shape and refine our ideas for tackling the complex issues the next generation of leaders will face. Knowledge and contacts gained through the Dialogue can be shared with networks and communities when the participants return to their homes throughout Australia and Papua New Guinea. The following provides a summary of discussion at the Dialogue. The report is written on a non-attributable basis. A list of the participants and observers at the Dialogue is attached as an Annex. The employment market in both Australia and Papua New Guinea is challenging for young people. University graduates in Australia are finding it takes several years following graduation to secure full-time professional work. 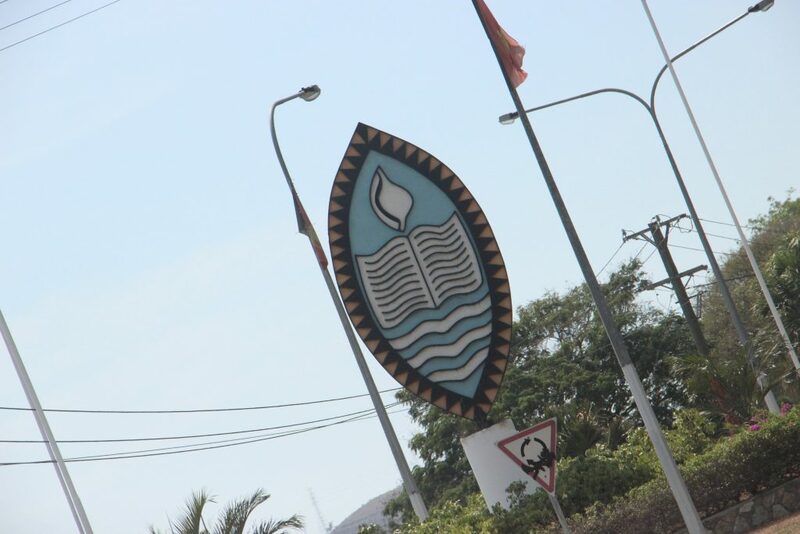 In Papua New Guinea, school leavers and university graduates focus their job searches on the formal sector in the urban centres of Port Moresby and Lae where salaried jobs are scarce, perhaps ignoring business opportunities in rural areas. Papua New Guinea is still largely a rural society and agriculture is an important strength of that society. One participant said more people should be encouraged to earn their incomes from the land. Gardening and agriculture are no longer regarded as formal or proper employment by many in Papua New Guinea. Young people are not motivated to work on the land because the financial returns do not reward the hard physical labour required to get crops to market. Supply chains in Papua New Guinea are unreliable. Weak infrastructure and transport links are the main obstacles to improving market access. The education system in Papua New Guinea is not adequately preparing students for employment in the country. There is a mismatch between the courses of study available and the skills sought by employers. There would seem to be a shortage of courses that teach basic financial and business skills to those seeking to start up their own businesses or work in agriculture. A mismatch between tertiary education and employer expectations is also an Australian problem. Graduates are seeking Masters degrees to get an edge in the employment market but the majority of employers are looking for people with work experience rather than more advanced degrees, leading graduates to seek out internships or voluntary work to obtain experience. Both countries would benefit from deeper engagement between the corporate sector and tertiary education providers so that graduates are equipped to be competitive in an ever-changing job market. In Australia, women and the younger generation are pushing for changes to the work environment that recognise more sustainable or balanced approaches to living. Small businesses in Australia also face high costs and young people are pushing for changes to reduce these costs through sharing office space and services and flexible working arrangements. High childcare costs are a major inhibitor to women returning to work in Australia. One participant who had worked in both Papua New Guinea and Australia said that Papua New Guinea workplaces tended to be more family friendly than Australian workplaces, with employers more understanding of the needs of employees with children and family responsibilities. Young entrepreneurs in Papua New Guinea face a number of obstacles in seeking to set up small businesses. Access to finance is limited. Telecommunication, utility and office rental costs are very high. Securing access to markets is also a major challenge, with poor infrastructure often preventing rural enterprises from transporting their goods to markets. These challenges for young entrepreneurs are compounded by the difficulty of managing cultural obligations with modern business demands in Papua New Guinea. For example, income earners are under significant pressure to provide for their extended families ahead of investing in growing their businesses. Participants said young people have an opportunity to transform their country by developing vibrant and innovative businesses. There are limits to the growth of the formal professional sector in Papua New Guinea but hundreds of thousands of productive opportunities need to be found for the younger generation. These are most likely to come from the informal sector and from small businesses and social enterprises. Trade jobs in Australia tend to be well remunerated, particularly in the mining and building sectors, and these jobs are therefore valued. It is different in Papua New Guinea, where trade jobs are not valued in the same way as professions that require a university education. There is concern in developed economies, including Australia, about technological advances making some jobs obsolete. But on a positive note, the gaps in the job market created by the phenomenon of ageing populations in some developed economies opens up opportunities for the younger generation in developing countries such as Papua New Guinea. Approximately 85 per cent of Papua New Guinea’s population reside in rural areas as compared with 11 per cent of Australia’s population. Both countries, however, face similar challenges in delivering services in remote rural areas. Two participants were doctors who work in rural areas in Papua New Guinea and Australia and had much in common in terms of the challenges they face. It is difficult in both countries to attract doctors to work in rural areas. There are fewer than 400 doctors in Papua New Guinea, which equates to one doctor per 17,068 people compared with one doctor per 302 people in Australia. Only 51 doctors work outside Port Moresby and most of them are based in provincial town centres rather than rural hospitals. The Papua New Guinea Government provides some incentives to encourage doctors to serve in rural hospitals but these do not fully compensate for the difficulties rural doctors face. Electricity and water is in short supply, education services are often poor and facilities are basic. In Australia the government also invests in recruitment and retention incentives to attract professionals to work in remote areas. Challenges unique to Australia’s rural settings include mental health problems associated with isolation, lack of opportunities for young people and limited aged care options which make it difficult for communities to thrive and survive. Embracing the concept of telehealth (which uses information and communications technologies to deliver health services to Australian rural communities and is supported by the Australian Government) could permit advances in health service delivery in Papua New Guinea. Despite incredible improvements in mobile telephone coverage in rural Papua New Guinea, there are still gaps and weaknesses in basic infrastructure, including in power generation that prevent realisation of the health benefits of telecommunications. One example of a technological advance that could improve maternal health is a product developed by GE — a portable ultrasound (V-Scan), which requires batteries but is not dependent on electricity or connectivity. The liberalisation of telecommunications and the widespread take-up of mobile phones in Papua New Guinea offer multiple opportunities to leverage mobile technology to expand education in rural areas — both in terms of the formal education system and in raising public awareness about important national issues. Assuming that investment in expanding mobile and internet coverage in Papua New Guinea will continue, there are opportunities to use mobile technologies to develop and communicate tailored solutions for community-specific agricultural or health challenges. Participants debated the accountability around service delivery. In Papua New Guinea service delivery responsibilities are shared between the national level and provincial and district level administrations, as well as by private companies that invest in resources or other projects in rural areas and by churches. This enables the national government to avoid taking responsibility for service delivery failings beyond urban areas. 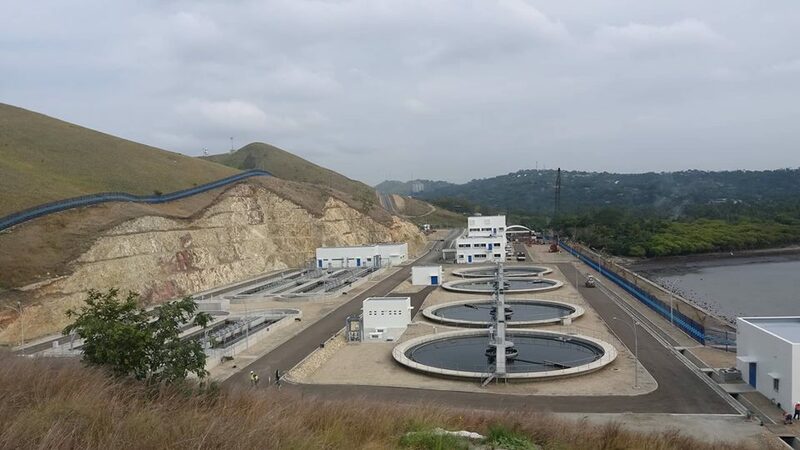 The national government seems to focus most of its energies on developing infrastructure in urban centres, in particular Port Moresby, but rural areas are in greater need of investment in infrastructure. Rural Papua New Guineans often lack information about government activities which means their expectations are low and they do not have the tools to hold government to account. The complexity of cultures and topography in Papua New Guinea make it difficult to devise solutions for service provision that work for every community. Services and responses need to be tailored to regions and districts depending on individual needs, which poses considerable challenges to all levels of government struggling with capacity. In Australia the majority of essential services are delivered by state and local governments but often according to policies or planning decisions made by the federal government. Lines of accountability are not always clear to the population and blame-shifting is common. Australia and Papua New Guinea face similar challenges in building and managing their economic relationship with Asia and in particular with China. Australia’s economy is heavily dependent on China. Papua New Guinea is strengthening trade and investment ties with China. But both Australia and Papua New Guinea could develop a more nuanced understanding of doing business with China. It is difficult for most countries to manage their national images or brand in China. There is recognition in China of the value of the Australian brand but little knowledge of Papua New Guinea. Although the monetary value of Papua New Guinea–China trade ties is greater than that between Fiji and China, Fiji has developed a high profile in China because of iconic products such as Fiji Water and Fiji-sourced noni juice. Papua New Guinea does not have a similar iconic product on which to build its brand. There are opportunities for Papua New Guinea to attract more visitors from Asia. A second weekly direct flight between Papua New Guinea and Japan has been subsidised by the Papua New Guinea Government and there are official discussions about opening a direct flight to Shanghai. There are now direct flights between Port Moresby and Bali. Only 2 per cent of tourists to Papua New Guinea are from Asian countries (mostly from Japan). Papua New Guinea tourism authorities promote the country as a niche, adventure destination. It is not possible for Papua New Guinea to compete with Fiji for mass-market appeal because of the high costs and inadequate travel infrastructure. The high demand in China for quality agricultural produce presents opportunities for Papua New Guinean producers. However, foreign investment is constrained by the inability of small-scale producers to guarantee continuity of quantity and consistency of quality. Papua New Guinean producers are unlikely to be able to service high demand from China but could benefit from focusing on niche, high-value products. Papua New Guinea, like many other small countries, struggles to make a definite mark in the Chinese market. The Pacific Islands Trade and Investment Commissioner based in Beijing represents the trade interests of all Pacific Islands Forum members, including Papua New Guinea. The nation’s trade interests are also supported by the Papua New Guinea Ambassador to China. Given the size of the Chinese market, there may be benefits to Papua New Guinean trade officials leveraging the influence of Australian trade officials in China — perhaps in sharing office space or joining forces in trade delegations or trade fairs. Australians tend to focus on economic links with Asia and particularly with China but interest in understanding Asian countries more broadly appears to have diminished. Studies of Asian languages in Australian educational institutions have declined. Australians know China is important to Australian trade and investment prospects but are not yet seeking a more comprehensive understanding of Chinese culture. Participants said Australia and Papua New Guinea rely too heavily on China’s demand for their natural resources to sustain their individual relationships with China. Closer ties might be possible if Australians and Papua New Guineans seek a better understanding of China. The introduction of the New Colombo Plan — which aims to improve knowledge of the Indo Pacific in Australia by supporting Australian undergraduates to study in the region — is an indication that the government is seeking to redress weaknesses in Asia literacy in Australia. There are many ways to build trust with Asian countries. In Papua New Guinea’s case a delegation of cocoa famers visited counterpart farmers in Indonesia at the instigation of the Australian Centre for International Agricultural Research and found they were facing common pest and disease challenges with their crops. The relationships established have continued. In Australia’s case, the Australia- Indonesia Youth Association allows young Australians and Indonesians to learn about and from each other on an ongoing basis, no matter how strained the official bilateral relationship. The President of the Autonomous Region of Bougainville, John Momis, previously served as Papua New Guinea’s Ambassador to China. He has cultivated Chinese interests in investing in Bougainville. 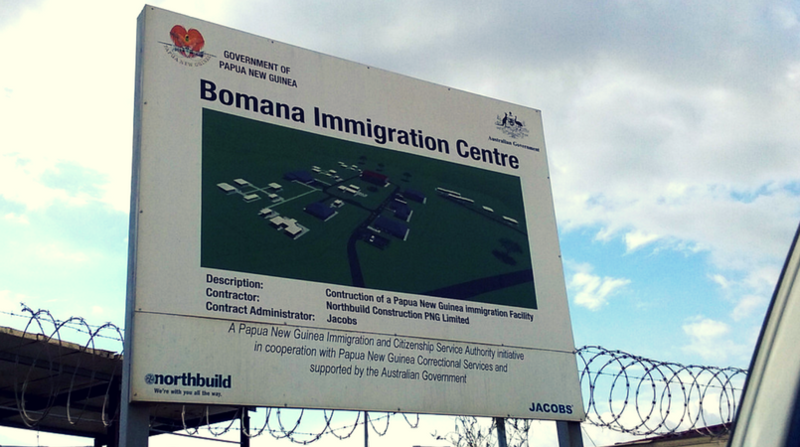 Concerns around foreign investment in Bougainville led the Autonomous Bougainville Government to pass an Inward Investment Act. This Act compels foreign investors to meet criteria to ensure the investment is responsible and addresses economic, social, and cultural needs in Bougainville. There is a business case for gender equality in all countries. Equal participation in all levels of society and industry leads to social cohesion and is economically beneficial. 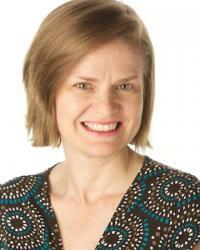 The legal professions in Australia and in Papua New Guinea are largely male-dominated. While there are record numbers of women studying law, this is not yet translating into more equal representation in the workforce. About a quarter of 400 registered doctors in Papua New Guinea are women. The medical profession recognises the value of gender equality and has introduced quotas to address the current inequality. The work environment for female doctors who have children is difficult due to the long working hours required of doctors. Some hospitals have recognised this and set up family centres that provide care for the children of doctors. There are many factors which prevent better gender equality outcomes in the workplace in PNG, including: tensions between culture and the new way of working; not having a supportive partner/family; unconscious bias; lack of opportunities; lack of mentorship; lack of support; and lack of visibility of women. It is important to recognise leaders and champions of gender equality. Mentoring programs are useful and can work across borders. 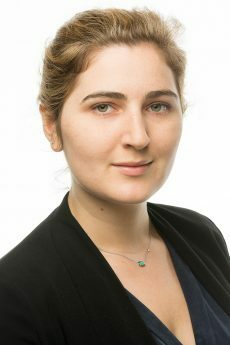 A group of legal professionals in Victoria have set up a mentoring program for female lawyers in Papua New Guinea. Training on unconscious bias in the workplace can help address bias in management and recruitment. 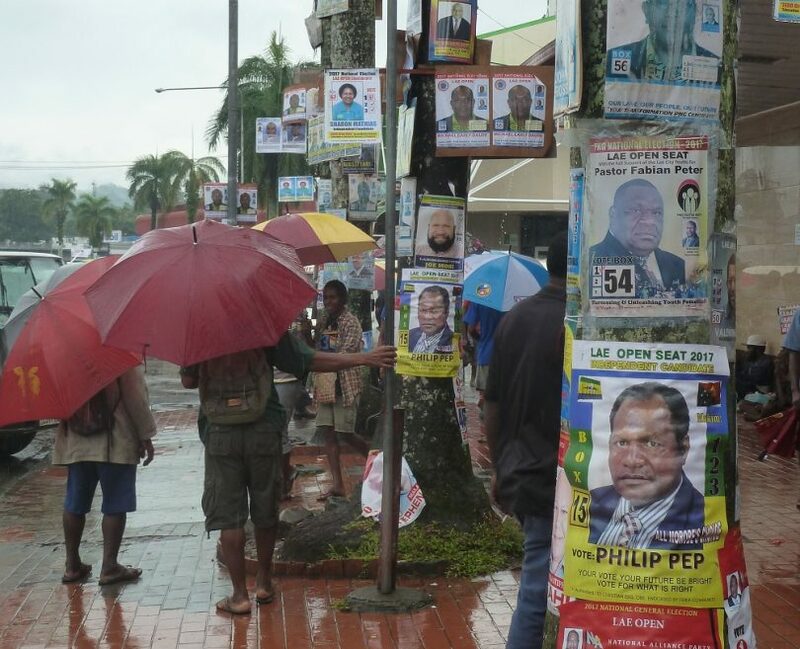 In Papua New Guinea’s Electoral Commission, only 1 of 21 managers is a woman. Management decided to address this by creating assistant manager positions specifically for women or recent graduates who would be trained and mentored to eventually assume managerial positions when the current managers retire. It is a good example of positive discrimination that could be applied in other workplaces. Addressing gender violence is a major challenge in Australia and Papua New Guinea. Media reporting about violence against women in PNG has raised the profile of the problem both in Papua New Guinea and internationally, which has led to more debate about how to address the challenge. In Australia, the advocacy efforts of Australian of the Year and domestic violence survivor Rosie Batty have played a key role in raising public awareness of the extent of the problem and motivating political action. In both countries the role of institutions — the police, hospitals, and the courts — is critical to tackling gender-based violence. Papua New Guinea’s institutions have been slow to respond to the growing problem. Participants said men needed to be fully involved in addressing gender-based violence. Many men in Papua New Guinea are ashamed of the level of violence in the country and do not want to be defined as being violent. Male champions are vital players in changing attitudes. In Australia, an initiative known as ‘The Man Cave’ is looking at the ways in which boys are raised and attempting to redefine what it means to be a man, through an education campaign and workshops with high school boys. The initiative aims to reduce the influence of unhelpful stereotypes and give boys practical skills to deal with the emotional challenges of transition to adulthood. The complexity of Papua New Guinea means that solutions to address gender inequality and gender-based violence have to be specific to place and culture. Bougainville, for example, has a matrilineal tradition which empowers women culturally in ways that are not relevant to patrilineal communities. The role women have played in peace-building in Bougainville is widely recognised. But the norms of modern life in Bougainville are clashing with cultural expectations of women and putting additional pressures on women. Initiatives that have worked to improve gender equality and the recognition of women in some communities do not work in others because of very different cultures, different terrains, different levels of access to roads or markets, and different land ownership rules. While national efforts to address the problems of gender inequality and gender-based violence are wanting, small-scale efforts by individuals can make a difference. A scheme to teach yoga to prisoners in Port Moresby to assist young male offenders to deal with anger issues has reportedly reduced violence within prisons and could be used in other situations. A small enterprise employing young men to give them a purpose is also contributing to addressing violence by providing positive role models and teaching young men about the cultural importance of respecting women. Participants said the education of girls should be a priority because it ultimately empowers more women and enables them to be afforded respect within their families and communities. There is increasing recognition in the private and public sectors in Papua New Guinea of the benefits of promoting women into leadership positions and examples of successful strategies to make substantial gains in gender equality. Entrepreneurship can offer women roles that may not be available elsewhere, particularly in rural areas, where formal jobs are scarce, and in sectors requiring science, technology, engineering and mathematics skills, where opportunities are great but skills are short. The Lowy Institute is delighted to welcome GE as the principal sponsor of a new Emerging Leaders Program within the Melanesia Program that includes the 2015 Dialogue and a residential fellowship program with two Papua New Guinean emerging leaders in 2016. The Lowy Institute would also like to acknowledge the continuing support of the Australian Department of Foreign Affairs and Trade for the Australia-Papua New Guinea Network. Through initiatives such as these, the Lowy Institute continues to provide a platform for deepening the Australia-Papua New Guinea relationship. The Melanesia Program team — Program Director Jenny Hayward-Jones, Research Fellow Jonathan Pryke, Research Associate Anna Kirk, and interns Chloe Hickey-Jones, Patteson Lusi and Alistair Davis — all contributed to the compilation of this report.